Finished up these two cutes today to take to work. My friend and co-worker, Sandy, knit the adorable hat and pocket and I made the dolly's. This picture just doesn't do the hat justice. It has these very cute little balls on each corner. They are from two patterns made by May Blossom. 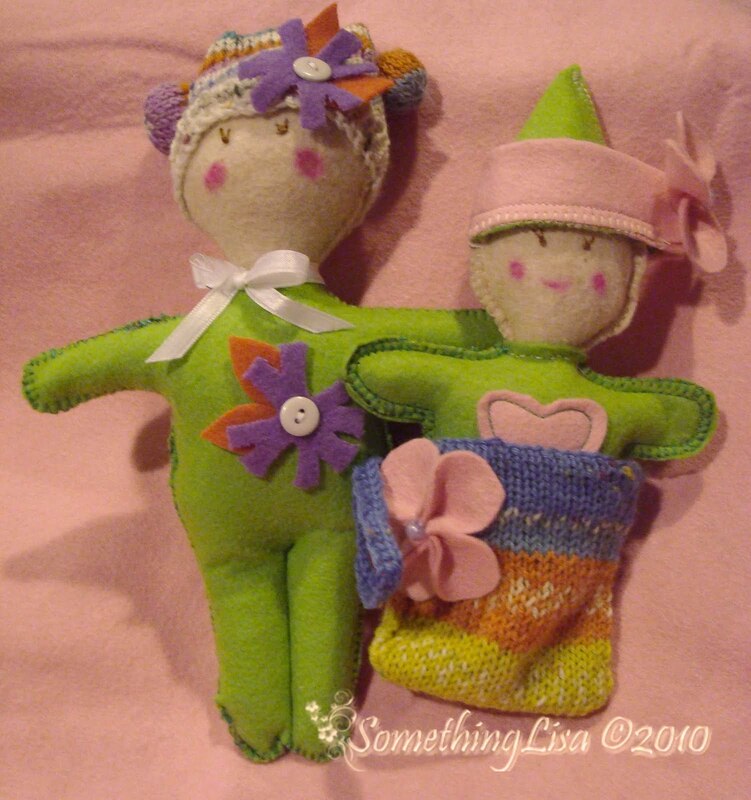 The one with the cute hat is from the "Humbug Macaroons" pattern and the one in the pocket is from the "Pocket Petunias" pattern. Nice color combinations -- ones I wouldn't have thought of. how cute are thoseeee... :D well done!